I forgot to post this when it happened a week or two ago but I have over 40,000 miles on the original factory stock chain. I don't see why it can't last to perhaps 50,000 miles or more. The chain has only had one very minor adjustment as the front sprocket wore and I replaced the front sprocket at 27,000 miles as a precaution. It probably had at least another 5,000 miles but was showing the first little bit of hooking. I literally never have cleaned the chain. I use Wurth HHS2000 (called HHS2k in the USA) but I think the main thing is to lube it often. I lube with every fill up and after every ride in the rain. My procedure is to turn off the bike in neutral. I put it on the centre-stand and then spin the wheel with my left hand while gently spraying my lube with my right hand on the sides of the rollers and where the links touch. This takes literally 10 or 20 seconds. That's it..nothing else is needed to be done. Oil based lube makes sense to me as that is what is inside the rollers so I have never used anything else. I ride on some sort of unpaved roads almost every day. I ride in cold weather where my roads are covered with salt (I saw the first sings if "brining" today.) I ride in rain routinely. 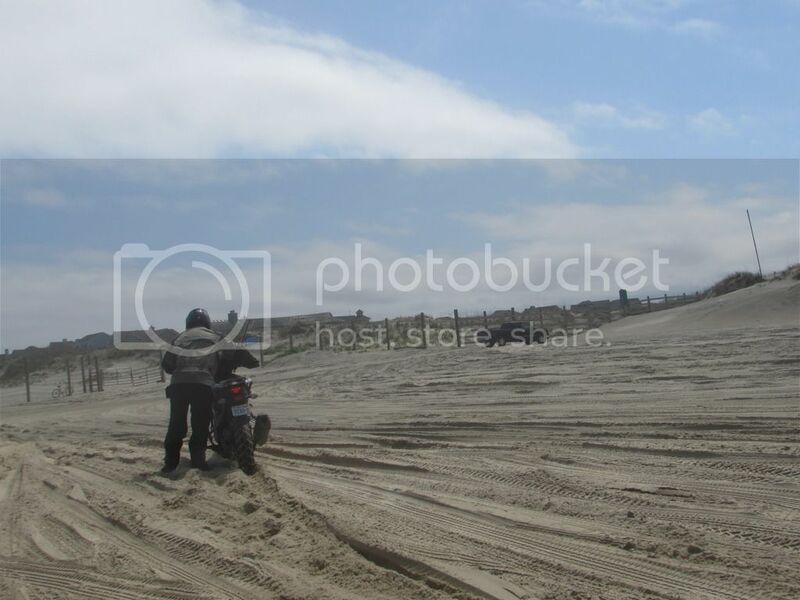 I had one ride where my wife (riding pillion) and I rode for several miles on a beach in North Carolina looking for wild horses. The tide started coming in so we turned around and just before we got off the beach we rode in salt water as well. 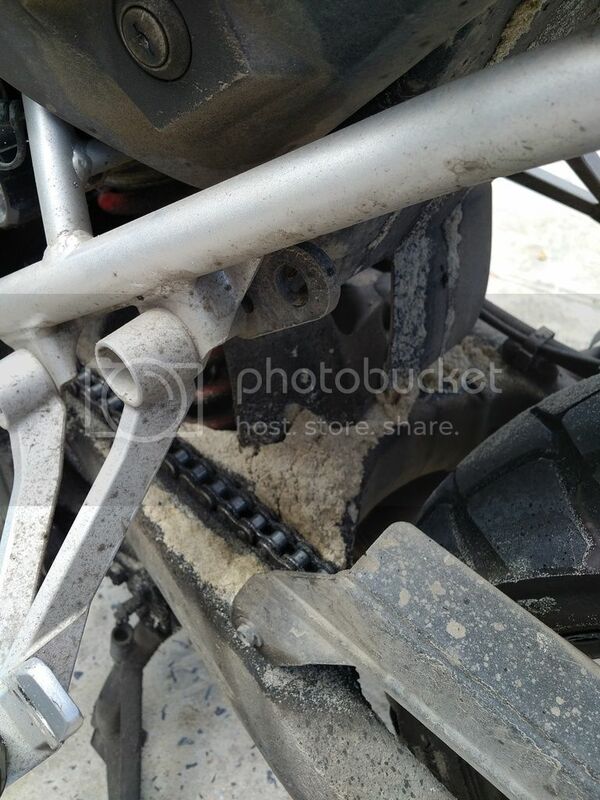 The chain was never cleaned and sand was all over it until we rode heavy rains few days later. Big B, richlandrick, stu53 and 7 others like this. stu53, MariusD, cheapbastard and 4 others like this. So are you saving any money? Sounds like the money you are saving on chains, you give back to buying chain lube. Lol. Just kidding. V-Tom, iamsmiling and jrdunn96 like this. For everyone else, if you just can't stand it and want to clean your chain, just wipe it down with motor oil on a rag. Never use a degreaser or WD-40! If you are not disciplined enough to oil your chain after every fill up (a rare and special breed of which I am not!) consider one of these. Tutoro Chain Oilers - AdventureTech, LLC. Just attach, adjust, and ride. On a separate note, I have seen no indication of the need for the rear wheel spacer fix on any Vee2. Big B, V-Tom and Bugzy like this. For me it isn't about the cost but rather about the bother.. the 10 or 20 seconds spraying my chain is a minor amount of time and effort to keep the chain lasting a long time. Big B, pvwheeler, Webfors and 2 others like this. ...For me it isn't about the cost but rather about the bother.. the 10 or 20 seconds spraying my chain is a minor amount of time and effort to keep the chain lasting a long time. Yeah, and not having to go through the chain and sprocket change hassles as often. I agree with your method, btw. V-Tom and Old Time Rider like this. I would love to know how it works out for you... that is how long the chain lasts. From what I have understood (but not tried) the chain oilier should keep the chain well lubed and should help the chain to last a long time. In theory probably longer than what I do. From what I have read, the specs on RichlandRick's Tutoro Chain oiler sound really good and if I wasn't so lazy I would probably try one out. That Wurth lube aint cheap, would be over $30 shipped........it aint that good.